Stephen McKeever avoided jail for what was his fifteenth conviction. A TEENAGER WHO called in a hoax bomb to his local garda station because he was “curious” about public phone boxes has avoided a jail term. 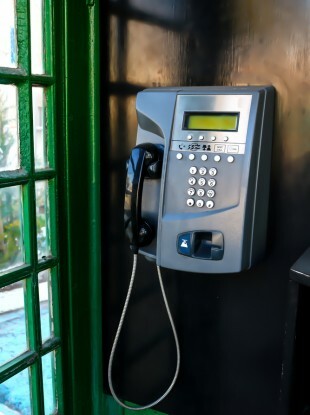 Stephen McKeever’s barrister told Dublin Circuit Criminal Court that his client, then aged 18, found public phone boxes unusual and the only free number he could think of dialing was “999”. When it was answered the first thing that popped into his head was a bomb and the first address he could think of was his friend’s home. Garda Shane Cahill said eight gardaí were immediately sent out to the house on Thomas Davis Street, in Inchicore to investigate. He said the homeowner was shocked but after an extensive search of the house and surrounding area, gardaí were satisfied it was a hoax. McKeever (19) of Knocknarea Avenue, Driminagh, pleaded guilty to knowingly making a false report at Tyrconnell Road, Inchicore on 13 December 2015. He has 14 previous convictions, which were all dealt with in the District Court and included assault, theft and handling stolen property. Judge Melanie Greally said she was satisfied from the evidence that McKeever was “motivated by mischief rather than malice”. She said it was a very serious offence that usually demanded a custodial sentence to deter others from committing the same crime. She said considering McKeever’s previous convictions, he was “very much on the threshold” of going to prison but accepted that he had not come to garda attention since and was a committed father to his three-month-old baby. Judge Greally sentenced McKeever to two-and-a-half years in prison but suspended it in full on strict conditions including that he engage with the Probation Service for 12 months. Garda Cahill told Garret Baker BL, prosecuting that it was discovered that the call came from the phone box on Tyrconnell Road and identified McKeever after getting CCTV footage from the local area. He was arrested but nothing came out of his subsequent garda interviews. The homeowner wasn’t interested in making a statement to gardaí. Garda Cahill told Kieran Kelly BL, defending that he only heard today that McKeever was friends with the homeowner’s son. He accepted an apology that counsel said McKeever wanted to give gardaí for wasting their time. Mr Kelly said McKeever left home and school at the age of 14. He now hoped to move in with his partner and young baby. “He’s hoping to improve his life and his child’s own circumstances,” counsel told Judge Greally. Email “Teen 'curious about phone boxes' avoids jail following hoax bomb threat”. Feedback on “Teen 'curious about phone boxes' avoids jail following hoax bomb threat”.